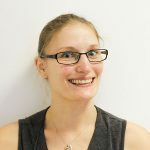 ASC awareness - Blog - HSR Psychology - Clinical and educational psychology service for children and young people, based in Manchester. 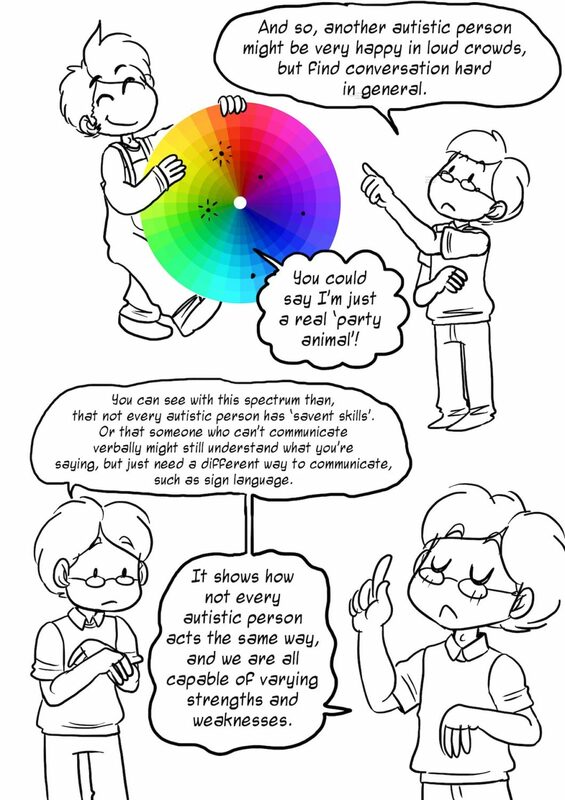 A cartoon to explain autistic spectrum conditions (ASC), courtesy of The Mighty. Why do people with ASC have rituals and intense hobbies? Individuals with ASC may have hobbies, special interests or fixations. It’s commonly accepted that individuals with ASC prefer routines and predictability. These needs can often lead to severe anxiety when they are not met, or when a routine has been interrupted and changed without warning. Typically, people with ASC get comfort and pleasure from their rituals, so please when possible try not to divert children and young people when they’re going through a ritual or hobby. This can also true for individuals with anxiety and attachment difficulties. ASC brings many strengths to people, and it is important to keep them in mind because no one should be identified by their challenges. Do people with ASC understand social situations? Subtle non-verbal cues may be missed, such as facial expressions and body language. Someone with ASC may continue talking about a topic of interest to them without realising that the person they are talking to is not as interested as they are, and they may even be completely bored. Some people with ASC may learn ‘social scripts’ to manage social interactions which are predictable, such as greetings. Social rules such as turn taking and responding to another person’s words may be difficult for a child or young person with ASC. Technology can be really important in supporting an individual’s learning and communication. Do people with ASC understand metaphors and idioms? This stereotype is worth keeping in mind when working with children but I have met many people (neurodiverse and neurotypical) who have learnt metaphors and idioms in order to increase their understanding and improve their communication. Can people with ASC be flexible? Flexible thinking refers to many thought processes which usually happen automatically and includes; being able to generalise information from one context to another, finding an alternative method of doing something and dealing with adversity. In everyday life coping with unexpected events can happen by finding an alternative, or working around it, this is not easy for people with ASC and can create immense distress. This is why when something out of routine happens there is usually preparation to reduce the distress. Is there any medication for ASC? There is no medication to treat the symptoms of ASC. It is possible to take medication to reduce severe anxiety, and that’s it. Now that you know some of the stereotypes, let’s look at how to support the needs mentioned above. Can individuals with ASC have a career? Fortunately, all careers are open to individuals with ASC due to the individuality of ASC and the broad range of strengths people have. Hobbies and interests can lead to a dream career. Unfortunately, some individuals with co-occurring conditions may not be able to live independently and work, and it is important to make sure that they are still able to live a happy, healthy and fulfilled life. It’s important to remember that when a child or young person has ASC, they are a child or young person first, and their needs must be respected and addressed where possible. Parents and carers may need extra support, or reassurance, because some demands place a lot of stress within families. If you are a parent or carer in this situation then please let education setting’s know how you’re doing as a family, if they don’t know then they can’t support you.